Does God have a sense of humor? 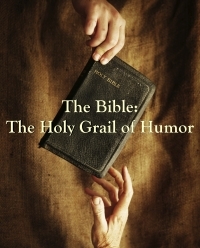 Is there humor in the Bible? What kind of comedy is permissible and how far is too far?